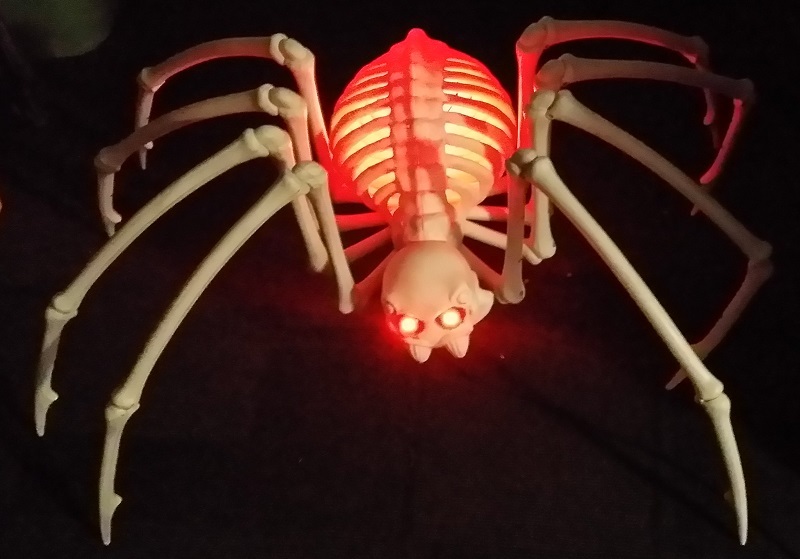 This skeleton spider was bought from Costco in 2016, but I didn’t get a chance to use it that year. Here’s the stock product. It’s reasonably large and pretty good value. 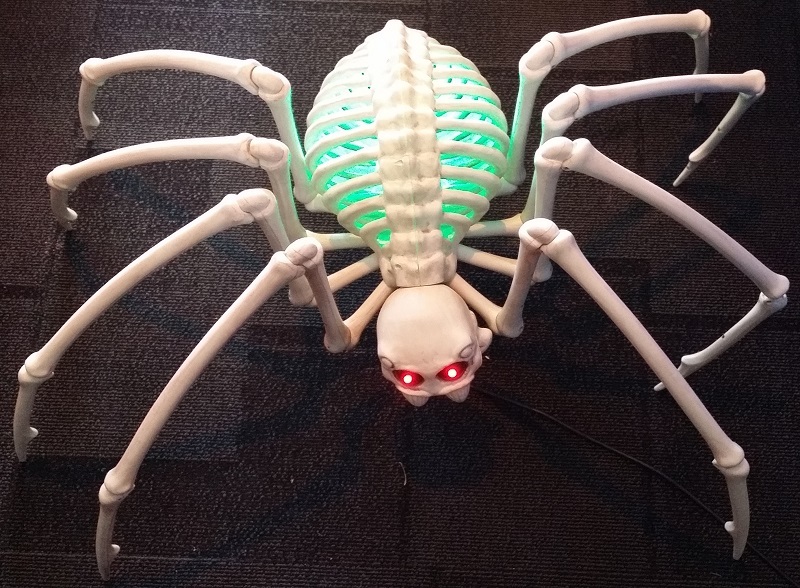 Only the eyes light up. That’s OK, but not super menacing. It’s normally powered by 3 button cells and has a 6/18 hour timer function. I prefer all of my props be run from a 12V DC supply where possible. So what did I do? Take it apart and modify it of course! 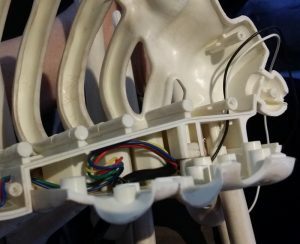 I removed all of the head wiring as none of it be will be used now. There was also a small circuit board that had a timer function on it. 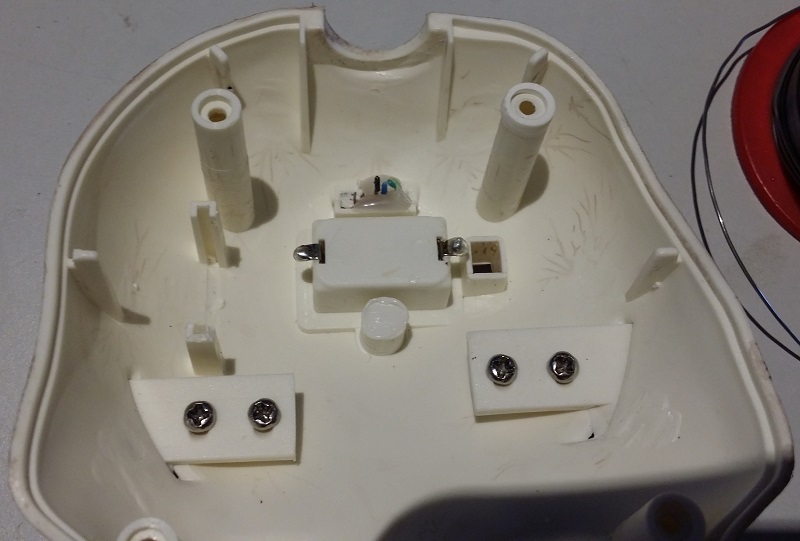 Also remove the button cells as they will likely leak at some stage. A 470 Ohm 0.25W resistor is soldered in series between the eye LEDs. This limits the LED current to approx 20mA when used with a 12V supply. We’ll use the two outer connections later. The RGB LED strip was installed in the rib cage base. 3 sections of 60 l/m strip worked out perfectly. The strip is tucked under one of the screw supports. It’s also glued into place with some silicone. A few holes were drilled in this area. One is for the incoming 6 core cable. A zip tie on the inside stops the cable being pulled through. 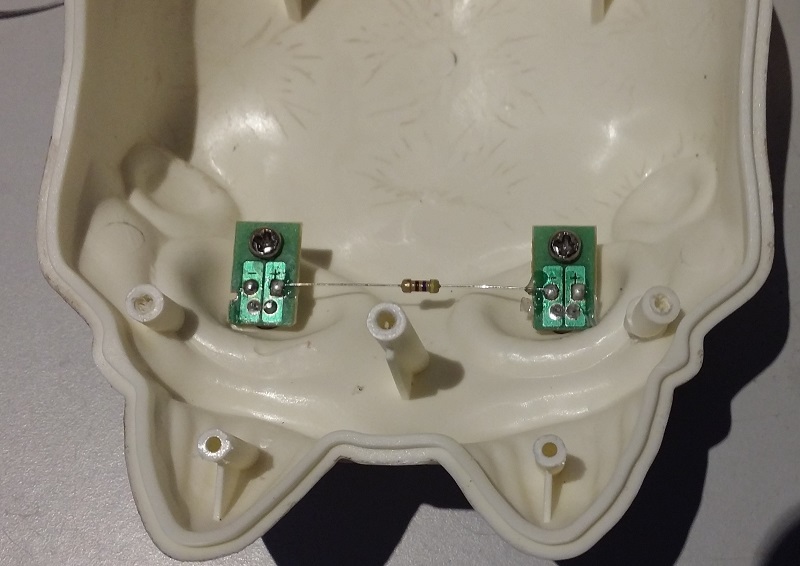 A smaller hole allows for the wiring to the eye LEDs. The third hole is for the RGB strip wires. Routing the wiring this way makes for a neat job. 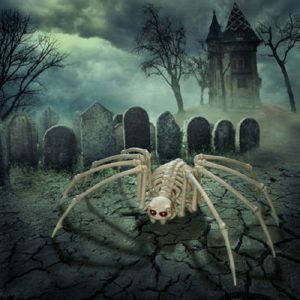 There are a lot of screws holding the skeleton together. Try to keep track of the various screw sizes and their positions. The original eye LEDs are wired to the 2 remaining wires. The wiring comes through a hole drilled in the neck joint. There is a screw in the middle, so drill to one side to avoid it. 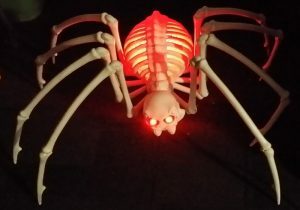 The LED strip illuminates the rib cage. I did try to mount the LED strip at the top first, but there’s no easy way to do it. The wiring access and general look was fine for what I have in mind. This spider will be roof mounted so the strip shouldn’t be directly visible. 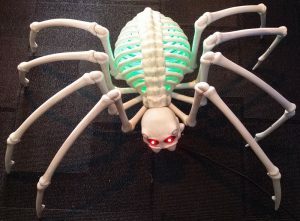 Here he is all back together and lit up. 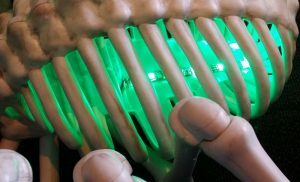 The rib cage LEDs are RGB and can be controlled independently of the eyes. I think that this mod is a huge improvement over the stock product.